There is a plethora of directors from the New Hollywood Movement who deserve their own documentary (some already have, like Brian dePalma, Woody Allen, Robert Altman) and now one of the most idiosyncratic (and certainly the biggest hippy) of the talented bunch has got his due. Hal Ashby is known for his directorial efforts from the 70s, where he tapped into an assured kind of comedy and drama that has been massively influential, but rarely equalled since. Being There, Harold and Maude, The Last Detail, Coming Home and Shampoo were all regarded as great films upon release, but are now all masterpieces in hindsight. So much has been said and written about these films, so it’s fortunate that this documentary does spend the time on Ashby’s other achievements. Taking a chronological viewpoint, the film delves into his editing work before his directing, seeing how his easy-going charm and hard work quickly raised him up the ranks and won him the Best Editing Oscar for In the Heat of the Night (1967), his fourth out of six feature films he edited. Delving into his main directorial work of the 70s, Hal gets into a general sense of unending praise and hagiography as filmmakers of today talk about how affected they were by these films. He deserves this kind of praise, but it’s oddly in this section of the documentary, focusing on his greatest work, when it struggles with interesting things to say. So thankfully, Ashby’s sudden dive in quality throughout the 80s is explored, an under-discussed era that gets a variety of differing opinions, ranging from those seeing an evident drop in artistry to those claiming he continued his genius through a new kind of films. The connection between the man and his work is explored to only a general amount, with the interviewees remarking on how Ashby tapped into the counter-culture and the Vietnam War to create such culturally relevant (and still resonating) works of fiction. Unfortunately, Ashby’s troubled childhood is only skimmed upon, with no commentary on how his own personal life affected his films. Sometimes, it’s the subject that maketh the documentary. 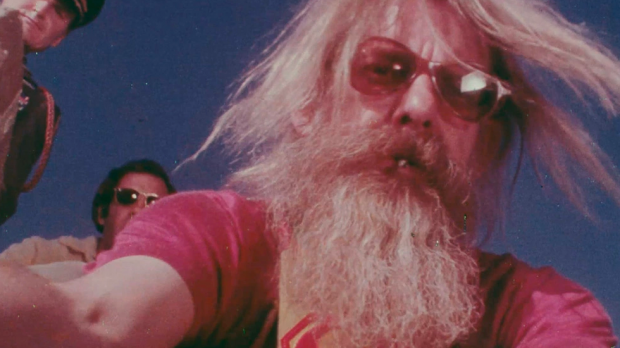 Hal Ashby created some of the defining films of the 70s that are somewhat worthy of repeat discussions, though it’s a shame this documentary spends more time on the people he influenced rather than what influenced him. Hal at times feels like a tribute video that you would play at his funeral, yet other moments are genuinely revealing even for the biggest of his fans. With enough new information, Hal is a worthy watch for seasoned fans and newcomers of this great director’s filmography. Be sure to check out Halfest at Luna Outdoor, which will be playing Hal, along with his films Shampoo, Harold and Maude and Being There.